Okay, so I’ve been forced out of the cave by events. Which is ironic given it’s been other events that have kept me in seclusion. Namely local conditions here in sunny West Africa, which have conspired against my best laid plans. But not for long. If all goes to plan I will be solar powered by the end of the month.! Meanwhile, life has been chugging along between power-cuts. Next month sees MWiDP launch a new How To guide for writers. One with a difference, of course, as the title might suggest. Co-written by award-winning blogging guru Anne R. Allen and NYT best-selling author Catherine Ryan Hyde, this is a How To with a difference, and will be updated every six months to ensure it’s always up to date. More details on this in coming weeks. Here just to say that every six months might not be enough. The only certainty is that there is no certainty. The publishing world is changing daily. What was established fact yesterday can be questionable today and history tomorrow. This past month has proven that to be very timely. 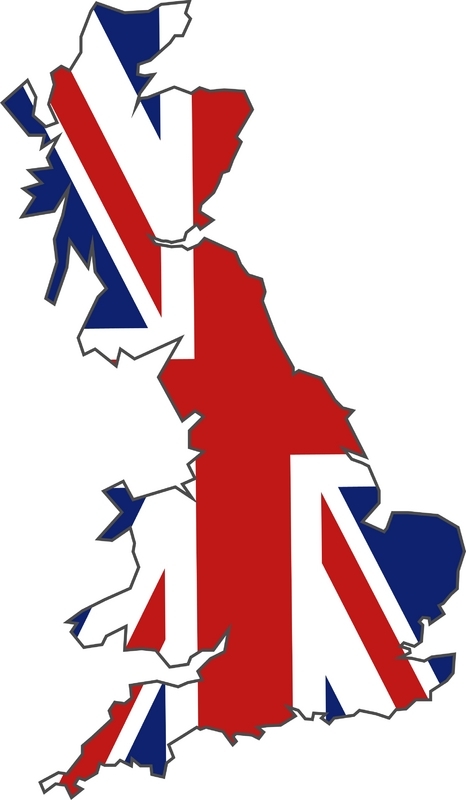 A short while ago I wrote a post on The State of Play in the UK – an overview of the British ebook market and what the near-future holds for those writers targeting the home of the English language. Given recent totally unpredictable developments in the UK I’ve been inundated with emails asking how I see the Brit’ ebook scene now. At the time I was optimistic (aren’t I always?) that while the future of ebook Britain was bright, Amazon was facing the prospect of being eclipsed by the burgeoning Kobo which had teamed up with UK retailer W.H. Smith, and there was the much rumored partnership between Barnes & Noble and Waterstone’s, which would have brought the nook to Britain. A formal announcement was expected at the London Book Fair in April, but the Book Fair came and went with no news. In fact, unbeknownst to all but the privileged few, Barnes & Noble was simultaneously in negotiations with Microsoft, and shortly after the LBF an official partnership was announced between Barnes & Noble and Microsoft. A deal that left Waterstone’s out in the cold, the nook plans for international expansion on hold, and my predictions for the UK ebook market seriously holed. Suddenly it seemed like Kobo had an open goal for the British ebook market. W.H. Smith is the second-largest bookseller in the UK, with stores in pretty much every major town, and countless stores in the big cities. A chain that, because it also sells stationary, DVDs, music, games and newspapers, gets far more footfall than Waterstone’s. And Kobo was busy installing wi-fi kiosks and staff to promote the Kobo e-readers and tablet, while selling ebooks through the W.H. Smith ebook store it operates. With Kobo’s black and white e-readers significantly cheaper than the Kindles, and with Kobo’s tablet (which is actually cheaper than Amazon’s best b&w device) facing no competition from the KindleFire, which remains unavailable outside the USA, it looked like Kobo was a sure-fire winner in the race for ebook supremacy. Then came another bolt from the blue, just weeks after the B&N-Microsoft deal, as Amazon and Waterstone’s announced a partnership, in a move that left observers stunned. Me included. On the list of the top one million least likely things ever to happen this was number one million and one. I honestly checked the date of the report when I first read this, thinking it must have been an April 1st post turned up late. Waterstone’s boss James Daunt had previously been widely reported as comparing Amazon to Satan, and while that was probably wildly exaggerated by the media there’s no question Amazon and Waterstone’s were business rivals, not allies. Observers compared the move to letting the fox into the hen-house. Of mortgaging Waterstone’s future for short-term gain. Some suggested it was the beginning of the end for Waterstone’s. Amazon and Waterstone’s in partnership? You couldn’t make it up. Not here to analyze the numerous unverified guesses as to what’s in it for Waterstone’s. The simple fact is we don’t know (and may never know) the detail of the deal. But what is clear is that Waterstone’s will now be selling the Kindle in its 300 stores across the UK. True, the Kindle is already available in supermarkets and electronic goods stores in the UK, but there it’s just another gadget. One among many, easily passed by. But for the Kindle to be sold in Britain’s leading bookstore gives Amazon unprecedented access to its prime target audience – book buyers. Would the nook ever have taken off were it not for the Barnes & Noble bricks and mortar stores? Waterstone’s chief James Daunt is neither stupid nor suicidal (I’ve been following his moves closely since he took over running the company last year and have been impressed with his objectives, if not yet his achievements), and we have to assume there are major benefits to be accrued by Waterstone’s from selling the Kindle and directing customers to the Kindle UK ebook store. Obviously Waterstone’s will make money on the sale of the device. But how will Waterstone’s make money once the customer leaves the store and buys ebooks from their own home? Possibly the Kindles sold will be linked to Waterstone’s in some way (perhaps getting the buyer to sign up a Kindle account whilst in store) and the company will receive a commission on future sales through that account. What will happen to Waterstone’s own ebook store is equally unclear. At the moment Waterstone’s ebook store is a not insignificant player in the UK market (it still brings the Saffina Desforges brand significant revenue each quarter, although very few indies are there) and presumably will continue to operate. No doubt the Waterstone’s store will be able to pick up trade from customers who prefer not to use Amazon, and those who have a device other than the Kindle. Perhaps, just perhaps, Amazon will take over running the Waterstone’s store in the same way as Kobo now run the W.H. Smith ebook store. That would be an impressive move by Daunt. But that’s pure speculation. Reports suggest Waterstone’s will be investing serious money (“tens of millions”) into upgrading all the UK stores with wi-fi kiosks and trained staff. Rather like rival Kobo is doing with W.H. Smith, in fact, and as Barnes & Noble has been doing very successfully with the nook. I suspect this will be financed by Amazon. The Russian billionaire Alexander Mamut, who owns Waterstone’s, may well have that kind of money to splash around, but impossible to see how it could be recouped, unless there is a commission on future ebook sales as per the possible scenario above. But whoever is footing the bill, it looks like full steam ahead to upgrade the Waterstone’s bricks and mortar stores this autumn / fall and be in a position to market the Kindle in-store before Christmas. Last year, as the UK’s biggest-selling indie author and at number two in the Kindle store and just launching on Waterstone’s ebooks, we approached Saffi’s local Waterstone’s branch to do some promo. By late summer we were riding high in the Waterstone’s ebook charts, with two books simultaneously in the top ten, and kept off the number one spot only by the Steve Jobs biography soaring when Jobs died. 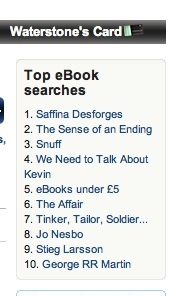 We were the top most searched-for name in Waterstone’s ebooks. We approached a bigger Waterstone’s store in the hope of getting some media interest. By spring 2012 we were officially the biggest-selling indie author of the previous year, and Sugar & Spice was officially the eleventh biggest-selling ebook in the country for 2011. Ever the optimist we approached a major Waterstone’s city bookshop. Yet James Daunt clearly sees and understands that digital is the future. It’s just that, for whatever reason, he’s been slow to get the company’s ethos changed. Still the optimist, I believe Daunt has joined with Amazon for the right reasons, and that Amazon will play this fairly. Yes, it would be very easy for Amazon to use its presence in the heart of its biggest print-books rival to undermine Waterstone’s. Yes, it could easily take Waterstone’s down the Borders route, and then buy up the stores and all that prime real estate for a pittance, from its petty cash. But as things stand Amazon has the perfect deal. It will have bricks and mortar ebook presence across the UK in the best possible way – in the country’s leading book-store. 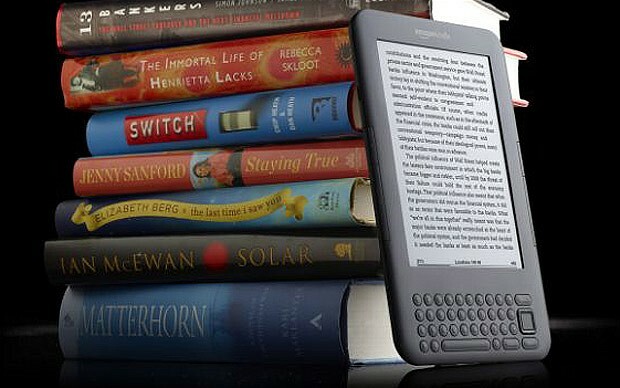 It will be able to go head to head with Kobo, its only serious rival on the international scene. And while buyers will have to pay full VAT at UK rates on the Kindle devices sold through Waterstone’s, Amazon will continue to supply ebooks via Luxembourg at a fraction of that rate (just 3%), giving it a continuing price advantage over Kobo and all other rival sellers. If Amazon were indeed to run the Waterstone’s store that would give Waterstone’s a huge advantage over Kobo-W.H. Smith. Whatever the detail, Amazon gets the best of both worlds, just as it always has. 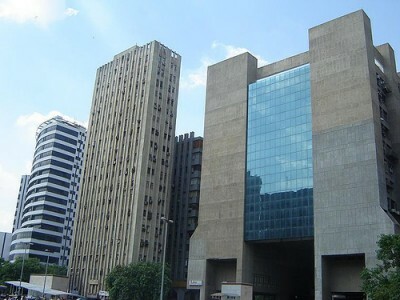 Bricks and mortar presence and off-shore tax advantages. But at a price – the survival of Waterstone’s as an independent nationwide book-store chain. If Waterstone’s fails Amazon would lose its bricks and mortar presence or have to take over the stores and lose the tax advantage. A symbiotic relationship unprecedented in publishing history. What does this mean for the future of publishing in Britain? Long term, that’s anyone’s guess. I just hope I’m right and Waterstone’s will survive. Short term it means that the Christmas/New Year season 2012/13 is going to be UK publishing’s answer to the Rumble in the Jungle. The biggest booksellers and ebook players in the country will be going head to head this winter for the hearts and minds of the British book-lover, both intent on converting the UK to e-reading. It’s going to be an ebook bonanza for those of us lucky enough to have our ebooks in the right place at the right time. The clock is ticking. Select fans may want to reconsider their options. At the moment my money is on Kobo. Kobo is already way ahead with its plans for in-store facilities, potentially reaches a much wider audience (i.e. not just book-store shoppers), and has cheaper e-readers than Amazon. Most importantly it has a cheap tablet available. And it’s being sold in the store that sells magazines. Wonderful to read on a tablet. A total disaster on the Kindle. If Amazon can get its act together and launch the KindleFire in the UK (promised since January but still no sign) then Amazon’s market supremacy will probably continue. Without a tablet to compete then Amazon faces losing its dominant position in the UK despite the Waterstone’s deal, just as it has now taken second place to Kobo in Canada. Whoever the winner is in the retail stakes, it’s a win-win for us all as writers and self-publishers, with huge new market-share being opened up. Make the most of it. It’s going to be a great Christmas. As regulars will know, I’m not normally the flag-waving type. 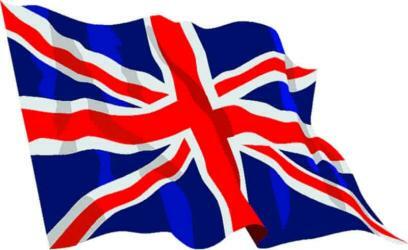 I may be be born and bred in Britain, but I’m about as un-British as you can be. For my money, the best thing about being British is having a UK passport to go abroad, where I spend most of my time. But this week I’m going to talk Britain. Ot at least, about the British ebook market and what the future holds, because suddenly things are looking very bright indeed. But first, a word about KDP Select. Amidst the gleeful cries of those who have had a good bounce from going free with KDP Select there is clear evidence of a fall in ebook sales overall as we hit February and into March, and especially so in the Amazon UK market. Of course, we all expect the natural post-season slump. But for many, both in the US and UK, the anticipated Christmas bonanza with all those new e-readers coming onto the market, simply didn’t materialise. Partly because many new devices – the KindleFire, all the nooks, etc, were not and are not available outside the US, which rather skews international sales. But both sides of the pond many writers, who were surging ahead in the latter part of 2011 and seriously thinking about giving up the day job, were brought down to Earth with a bump in 2012 when, especially from late January, their world stopped spinning. 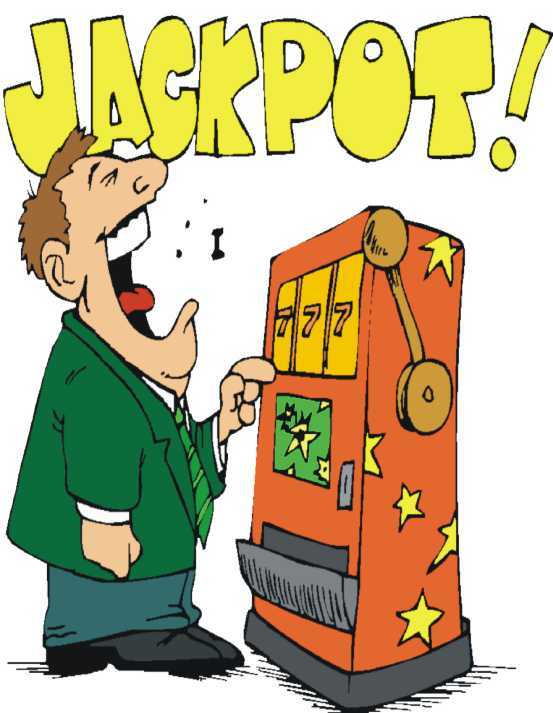 For many more, the early success of Select, with the fabled post-free bounce, also faded as the five free days were used, the post-free bounce disappeared and Amazon’s spotlight moved on to the next lucky winner. Did the eighty days exclusive with Select after the free and post-free bounce justify the experiment as the flood of millions of free books through Select saturated the market? From the feedback I’m hearing that’s at best 50-50. And of course it’s impossible to tell how many sales were “lost” on the other platforms as all those new iPad, nook and Kobo devices were fired up for the first time Christmas Day. For many more in Select there were no lucky winners, period. It’s easy to get carried away on the euphoria whipped up by those who did well with Select and assume it’s a guaranteed winner. Just sign-up and reap the rewards. In the UK of course the benefits were skewed from the start. Kindle UK isn’t privy to the borrowing option, as with so many Kindle US benefits. There’s no gift option on Kindle UK, for example. No KindleFire here, just the old b&w e-readers. And as we all know Kindle UK is a smaller market place than Kindle US because e-reading has yet to take off in Britain. But that could be about to change significantly. My prediction is the UK e-reading market is going to explode in the coming 12-18 months. Reaping huge rewards to those in the right places at the right time. So a brief overview of the state of play in the UK. 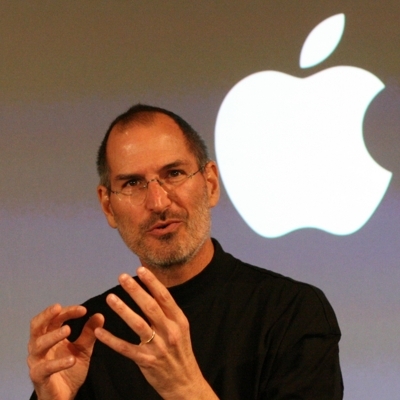 One of the reasons Apple’s iPad is not leading the way with ebooks is that Steve Jobs famously dismissed ebooks as a waste of time. Citing the possibly accurate figure that 4 out of 10 Americans read less than one book a year, Jobs saw no future for ebooks, which became a sideline for the iPad. “It doesn’t matter how good or bad the product is, the fact is that people don’t read anymore,” said the person with a vested interest in people reading less and spending more on music and games. So much for Steve Jobs the visionary. By the time Apple realised their mistake Amazon had stormed ahead and seized the high ground. 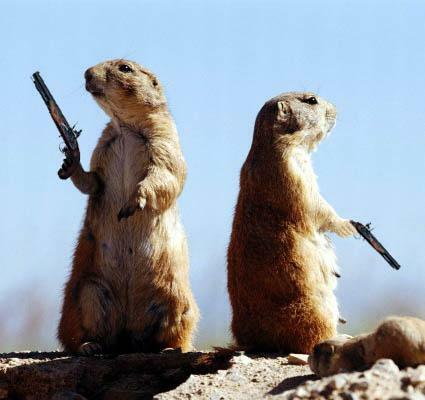 Of course they then responded with the Agency Agreement to try fight back. We all know the repercussions now as legal proceedings are prepared both sides of the Atlantic. Not here to discuss that. David Gaughran has covered this issue far better than I could on many occasions. most recently here. But what’s significant is to grasp that Apple are belatedly taking ebooks seriously, and safe to say Steve Jobs’ successors will be revamping the iBooks store and making it a lot more user-friendly in the near future. Apple has about twenty stores internationally, not least in the UK, and this is and will increasingly become a significant player for the UK market. Leaving aside the accuracy or otherwise of the forty per cent of Americans who only read one book or less a year, it’s generally accepted that the UK is the world’s leading book-reading market per head of population. It may not seem so when you look at your UK v US sales figures on KIndle, but that’s primarily a matter of ebook awareness. Ebooks came late to the UK. Or rather, the Kindle came late, which was much the same thing. Other devices were available, but the introduction of Kindle UK in 2010 quickly gave Amazon dominance in the UK ebook market. And despite appearances sometimes, it’s a significant market. Plenty of books are selling in six figures, and as e-reading in Britain increases so will your potential sales. Amazon’s biggest competitor in the US simply doesn’t exist here. B&N doesn’t sell to the UK,and except through Smashwords it doesn’t allow writers to self-publish from the UK. No wonder Amazon took the UK by storm. The only competition was the (at the time) small and neglected Waterstone’s ebook store and the equally pitiful W.H. Smiths ebook store. Yet Waterstone’s is the UK’s biggest book shop chain, and W.H. Smiths (stationers and general goods along with books) its nearest rival. Borders UK had gone to the wall several years before it happened in the US. The Waterstone’s story was a sad tale of neglect and decline, as this company was passed around several buyers none of whom had the least interest in books until, most recently, it landed in the hands of a Russian billionaire, by when I had, Kindle UK aside, all but given up hope for ebooks in the UK. Which was tragic. I loved Waterstone’s. It was my second home in the UK, especially where they had a decent coffee bar. The staff knew their products and would perform cartwheels to meet the customer’s requirements. Impossible to fault them. But back to Waterstone’s. Last year we found we had two top ten hits in Waterstone’s ebooks. Nowhere near Amazon sales levels, but still a worthy achievement. I happened to be in the UK and we tried to arrange a photo-shoot at Saffi’s local Waterstone’s store, so asked to speak to the manager. We contacted Waterstone’s HQ in London. No response. Meanwhile over in America B&N were inviting ebook sellers to do in-store readings and signing, introducing ebook booths, and pushing ahead with the nook. This was about the time Waterstone’s was sold yet again. I despaired of Britain’s book future, let alone ebooks. 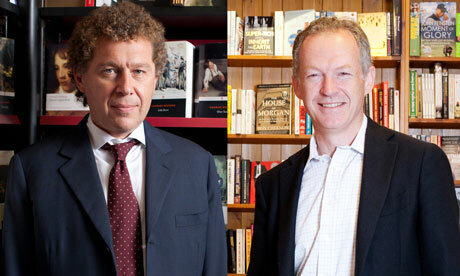 But the new man in charge of Waterstone’s, James Daunt (left, no tie), apparently with the full backing of (left, with tie) said billionaire Alexander Mamut (so there may just be the funds available to make it happen) is intent on transforming the stores nationwide and taking it into the digital age to compete head on with Amazon in the UK. I’ve been following Daunt closely ever since, and have been very impressed with the way things are shaping. Rumour and speculation abound, but it seems some sort of partnership with B&N is imminent, at the very least to sell a branded in-store e-reader in the UK, and possibly much more. This month B&N holds its first workshops in the UK, and a B&N presence of some sort, again almost certainly with Waterstone’s, seems just a matter of time. Even as this happens Kobo, recently bought out by a huge Japanese corporation, so suddenly not short of cash itself, has appointed a new director of UK operation, has e-reader distribution deals with several major UK retailers, and just happens to run the ebook store for the UK’s second largest book-seller, W.H. Smiths. All this just as the early adopter phase for e-readers comes to an end and the reticent late-comers stage begins. Lost? 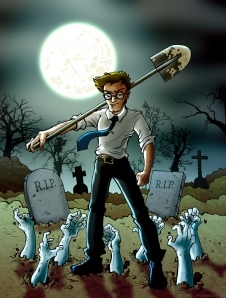 See my post Are The Big Six Publishers Really Dying? Suddenly the UK market is being transformed. Kindle UK is facing serious competition here for the first time, and we can expect a very rapid uptake of ebook reading in the UK in this coming year. I strongly suspect the Christmas 2012 season will be a bonanza like none before for ebook sellers in the UK market. But it needn’t be so. Over at Anne R. Allen’s today I explain why, far from seeing bricks and mortar stores close, the digital revolution could give a whole new lease of life to “real” bookstores, even as print inexorably disappears from our shelves. There’s never been a better time to be a writer or a reader. Or a publisher. Or even a book-store owner! The future is bright. The future is digital, with coffee. Hands up anyone who hasn’t heard of Sherlock Holmes? Exactly. Everyone and their great grandmother have heard of Sherlock Holmes. Now hands up everyone who’s actually read the Sherlock Holmes stories. No, having the Complete Sherlock on your bookshelf gathering dust doesn’t count. You’ve got to have actually read them. Hmmm. Not quite so many of you now. 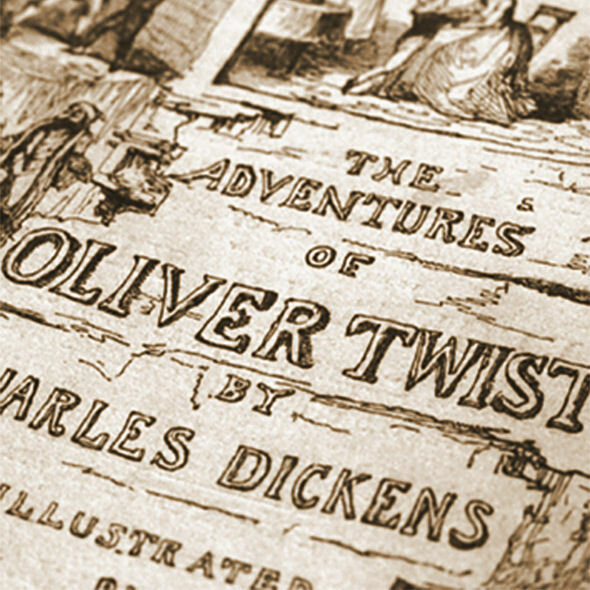 Rather like Shakespeare or Chaucer, or Dickens or Thackeray, or Mary Shelley or Bram Stoker, we all know – or think we know – the stories, and we all know they’re classics, and therefore must be wonderful, but few of us would ever have the inclination to actually read them. I mean, be honest, who among you have actually read Frankenstein, or Dracula, or a complete Dickens novel? How many times do you see someone reading Shakespeare on the plane or on the beach? How many of you could even name ten Shakespeare plays? No, Henry V Parts 1 to 10 will not suffice. Many of us, however much we may pretend otherwise in company, have a hatred of the classics drilled into us at school by uninspiring English teachers reciting what they in turn were taught at uni’ by uninspiring lecturers. Often we only come to the classics as adults, usually after a major film or TV adaptation. No question Keira Knightley’s breathtaking performance as Elizabeth Bennett did more to boost sales of Pride & Prejudice than any number of school teachers could ever do. Thus it has been with Sherlock Holmes this past year or two. The Sherlock books are gaining a whole new reading audience thanks to the recent BBC take on the Conan Doyle classics. By chance I was in the UK with my daughter when the first of the new BBC Sherlock launched. 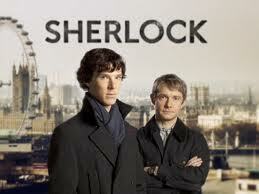 Of course as a long-standing Sherlock fan I rearranged my schedule to watch it, and absolutely loved it. But my daughter, while enjoying the excitement and the SFX, was rather lost on the clever word play and the cut and thrust of the intellectual debate behind the stories. Now that may be in part because English is her fourth language and she was only seven at the time. But it got me wondering how I could introduce Sherlock to her, and that in turn begged the question how I first discovered Conan Doyle myself. It was, of course, through Enid Blyton. Yes, I’ve waxed lyrical here on MWi many times about Blyton’s unsurpassed contributions to childhood literature. Need I mention Noddy? Tales of Toyland? St Clare’s and Malory Towers? Brownie Tales? The Wishing Chair or The Magic Farwaway Tree? Dare I whisper the near-perfect The Land of Far Beyond? The Mystery of the Secret Room had it all. Mysterious vehicle tracks inthe snow on the drive of an empty house. Invisible ink. How to get out of a locked room when the key is on the other side. The thin-lipped man. When you’re seven years old this is breathtaking stuff, believe me. 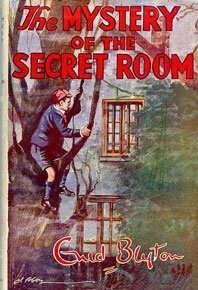 Sure the Famous Five were fun too, but I actually lived on a farm by the sea with light-houses and smugglers caves and harbours, so for me solving the Five Find-Outers mysteries was much more fun that than reading about Julian, George and Anne doing things I got to do every day anyway. In the Five Find-Outers series Fatty (yes, he was no light-weight – dear Enid had no time for political correctness – but his nickname came mainly from his initials, as the improbably named Frederick Algernon Trotteville) was a big Sherlock fan. Therefore so was I. But like for so many, being a Sherlock fan and watching Basil Rathbone in the films, and reading the actual original stories, were two very different things. Conan Doyle didn’t write for children, or about children. He wrote for articulate Victorian adults in a uniquely convoluted style that you either love or hate. Sadly I hated it. 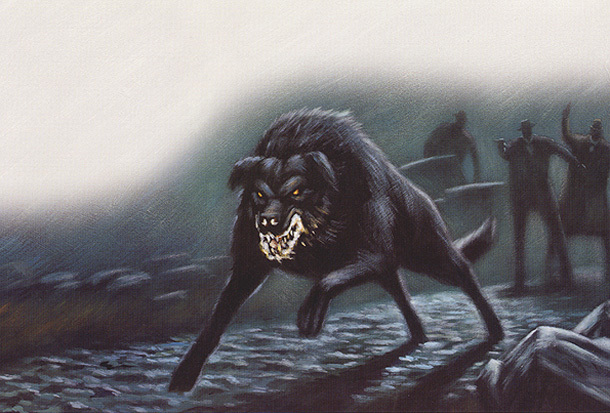 Kicking off with The Hound of the Baskervilles was a big mistake and I set Conan Doyle aside for several years, before rediscovering his delights, thanks to a children’s TV series called The Baker Street Boys. Not a patch on the later adult series starring Jeremy Brett, of course, but a great idea. Then came the BBC Sherlock… Or more importantly the latest series, reviewed here on MWi by my very own co-author Miriam just a few weeks ago. 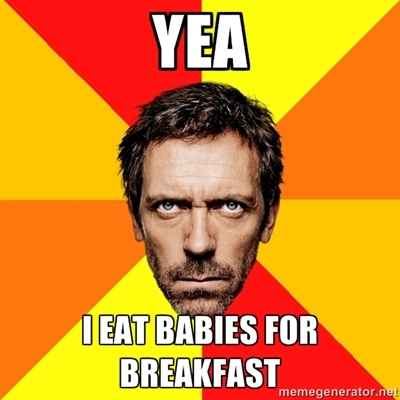 And it emerged that no less than two of my co-authors had never previously read Sherlock. A shocking oversight since rectified, I might add. This got me thinking once again about how my daughter, and in due course my son (only five, so not quite as urgent a task) would discover Sherlock. Where’s Enid Blyton when you need her? I emailed my daughter, now back in England, to get her views. She explained that her teacher had told the class Sherlock was unsuitable for children. And of course Teacher has a point. Much of Sherlock is very unsuitable for children. Now of course Sherlock is in the public domain. Author and artist both expired long since, and just like with any of the true classics, they’re fair game for anyone. But the last thing we wanted to do was just republish an old Sherlock story under our name. We needed to add value, to use the economic jargon. And so the Saffi Does Sherlock series was born. We’re taking some of our favourite Sherlock shorts and rewriting them for modern-day kids who want modern-day English reading but want to savour the essence of the real Sherlock Holmes. Not as easy as it sounds. 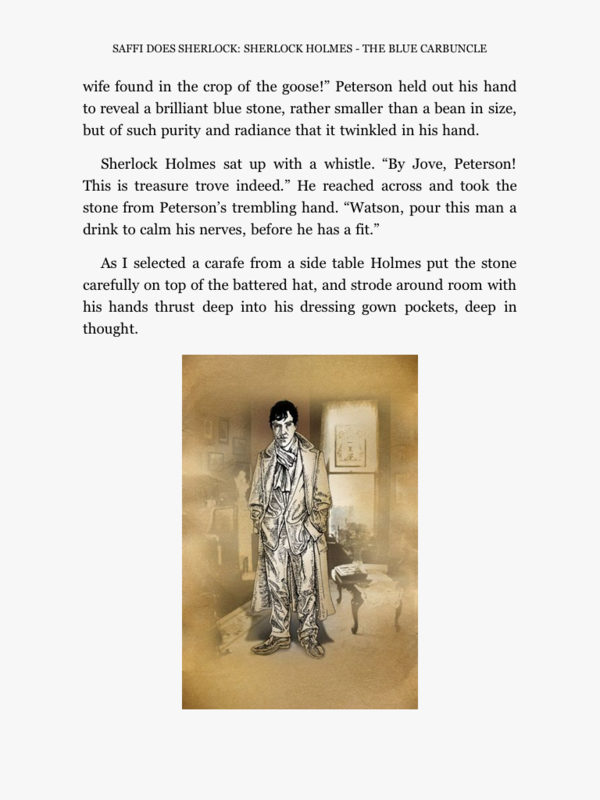 What we’ve done is try incorporate some of Conan Doyle’s original wording in amongst the modern-day language, while retaining the settings and characters, and while remaining faithful to the original storyline. Quite a challenge when you consider the more adult elements of Sherlock, with often violent crimes, opium dens and cocaine abuse, along with attitudes towards foreigners that border on racist. To further add value we enlisted the services of one of our cover designers, Athanasios, to produce not only a cover but some original color illustrations for the series, to run alongside the reproduced originals by Sidney Paget. The first in the series, Sherlock Holmes – The Blue Carbuncle, is live on Amazon even as you read this, and will be filtering out to other platforms soon. The second in the series, Sherlock Holmes – Silver Blaze, will be joining it very shortly. As ever, my system isn’t letting me access the links, but just type Saffi Sherlock into the site search engine and it shall appear. There’s only one Saffi Does Sherlock! And for those teens among you thinking it a trifle unfair we’ve now provided books for adults and children, but left out the YA market, fear not. It’s your turn next. The first of our YA releases will be making an appearance in a matter of days – stay tuned. And be warned, there’s nothing supernatural or paranormal about it. The only wolf in it a real one; there are no vampires; and it is most definitely not a fairy-tale. No, it’s not the long awaited St. Mallory’s Forever! either, though that is edging closer even as we speak. Watch our for a sneak preview of the St Mall’s cover next week! But our first YA story, in keeping with our crime-writing tradition, is somewhat more hard-hitting. It’s about the greatest crime of all – genocide. You have been warned. Truly disruptive developments in technology impact not just on related industries, but have repercussions far beyond, changing society. It’s why they are called revolutions, not just improvements on the previous infrastructure. 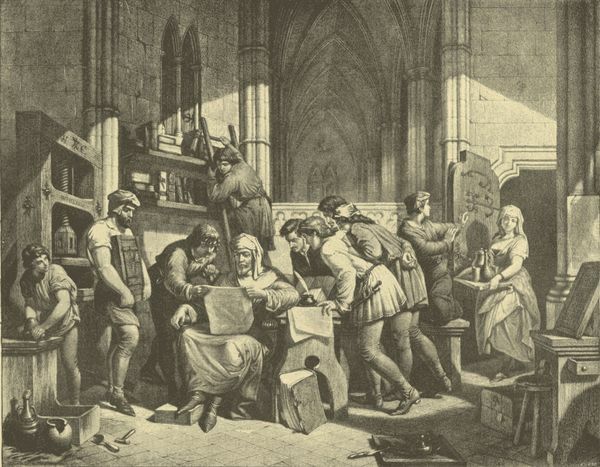 The printing press was one such. Railways. Manned flight. The internet, of course. Epublishing? No question is has transformed the publishing industry itself, and transformed the lives of many who aspire to making a living from it. But to be a true revolution it has to impact on wider society. It’s too soon to be certain how history will regard what we now term the epublishing revolution, but I think it safe to say it will be classed as revolutionary. Epublishing is revolutionary because it is capable of transcending media boundaries yet still be available to anyone with the requisite and readily available technology. Not just a transfer of an existing industry to a new means of delivery (movies are shifted from celluloid to magnetic tape to aluminium disk to digital without being revolutionary changes) but a transformation in what is available to read, where it is available, how it is read, and most importantly in the relationship between the creator-supplier and consumer. Like any revolution, epublishing has its proponents and opponents, and like in any propaganda war truth always the first casualty. As in any revolution, epublishing has its icons and its demons, and reasoned debate is rarely an option. Urban myths abound. 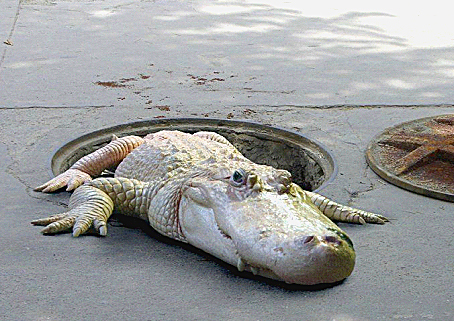 You know the type: trad publishers eat babies for breakfast, alligators live in the sewers beneath New York and you can earn seventy per cent royalyties from Amazon around the globe. So this is the first of an occasional series intended to strip away some of the more colourful blandishments of both sides, and take a look behind the us and them mentality that is so pervasive and corrosive, and view the reality behind the war of the words. 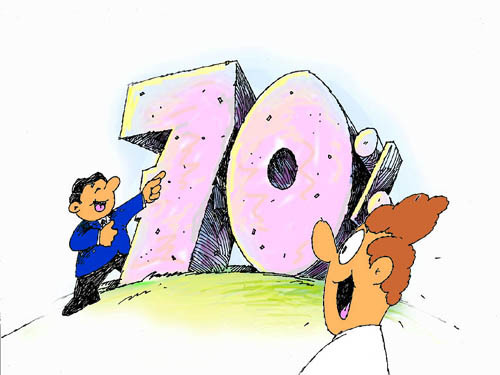 And we’re starting with the biggest myth of all – the myth of the 70% royalty. The fabled 70% royalty is of course the weapon of choice of any self-respecting indie wanting to poor scorn on the traditional publishers. And no question the royalties paid out by the trads are piss-poor. Don’t for one second read this as an apology for the failings of the trad pubbers to pay a fair whack to their authors. But equally, don’t fall for the opposite extreme that the trads are therefore robbing us blind because Amazon and other e-retailers pay up to 70% royalties. The trad publishers may well be robbing us blind. But that’s a different argument for a different time. What’s important to grasp here is that Amazon are not paying 70% royalties. In fact, except in the case of the select few who have signed up with the Amazon imprints, Amazon aren’t paying royalties at all. Okay, they call the payments royalties, but actually they are charging a 30% fee for distributing our books, selling our books and processing the fees. They then hand us the remainder. By what stretch of the imagination is that a royalty? 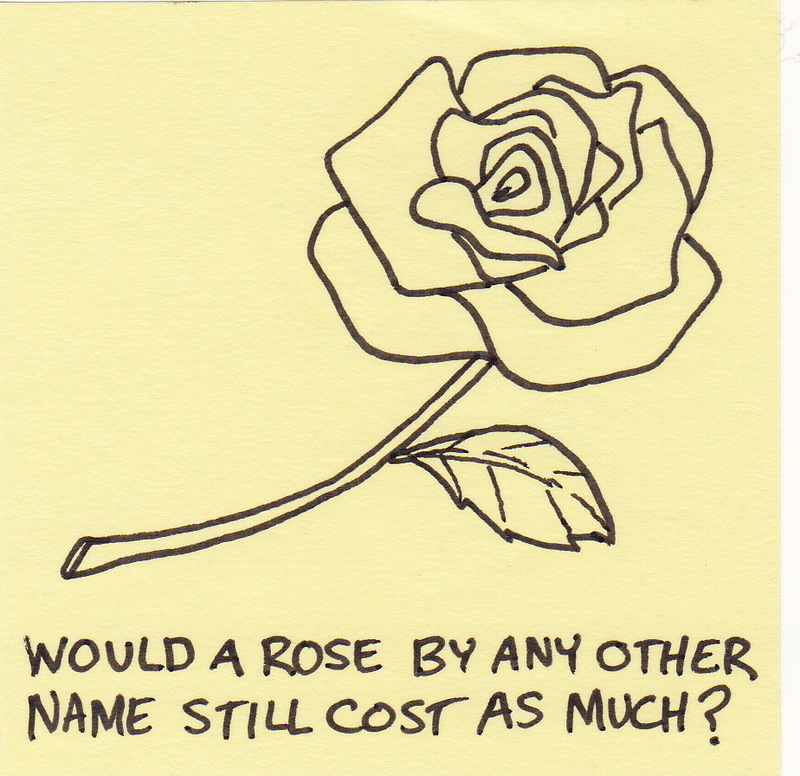 A rose by any other name? Not so. If we sold an ebook on eBay and eBay paid us the money after its fees were deducted would we call that a royalty? Of course not. 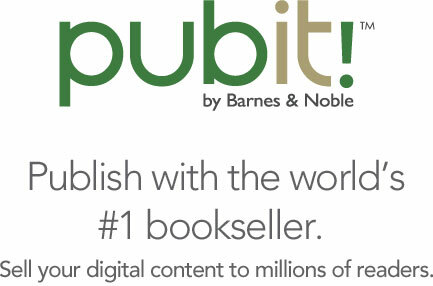 Amazon, Apple, B&N, Kobo and co. are not our publishers, they are our distributors and sales agents. That’s why it’s called self-publishing, folks! The point being, it’s crazy to directly compare what Amazon (or Apple, or Kobo, etc) hand out (after deducting their sales commission/distribution-fee/payment processing fee) with a royalty from a trad publisher. Low as trad-pub royalties may be (7%-15% is typical), it’s ludicrous to suggest that a trad publisher paying 15% to the author is somehow pocketing the other 85% as profit. Apart from anything else they have to pay sales commissions/distribution fees/payment processing fees just like we do. They have production costs, just like we do. Does that justify the trad publishers’ higher list prices and lower pay-out of real royalties to authors? Of course not. But the arguments against trad pub practices stand better scrutiny if we deal with facts, not Konrathian hyperbole. The grave-diggers and pall-bearers of the trad publishers have their own agenda, and can be entertaining to read. But facts are easily lost in the one-sided debates. I’ll return to this in future posts. Here to address the realities of “royalty payments” from bodies which aren’t acting as publishers and are actually charging distribution fees, not handing out royalties. In a bizarre twist by the company that prides itself on offering consumers the cheapest prices and claiming the agency model keeps prices artificially high, Amazon penalize any author wanting to give the reader real value, and more than double the distribution fee if we choose to list at less than $2.99. Which of course means that for many ebooks the so-called Amazon “royalty” is only 35%. And that applies to rather more than you might think. For ebook purchases outside of the Kindle countries Amazon only pay 35% regardless of list price. Far from giving you the fabled 70% royalty they actually charge you a 65% sales commission/distribution fee/payment processing fee. And of course they then also add the infamous $2 surcharge to the buyer’s bill. So your 99c ebook sold in downtown Buenos Aries or New Delhi will cost the buyer $2.99. But you’ll still only get 35c. In case you’re wondering that’s an actual “royalty” of less than 12%. That’s always assuming they let Johnny Foreigner buy your book at all. A reminder here that, as a resident of a West African country, I cannot buy my, your or anyone else’s ebook from Amazon, not even with the $2 surcharge, because Amazon block ebook sales to almost the entire continent. Not quite as bad as Barnes & Nobles Americans-only policy, agreed, but hardly a global sales reach. 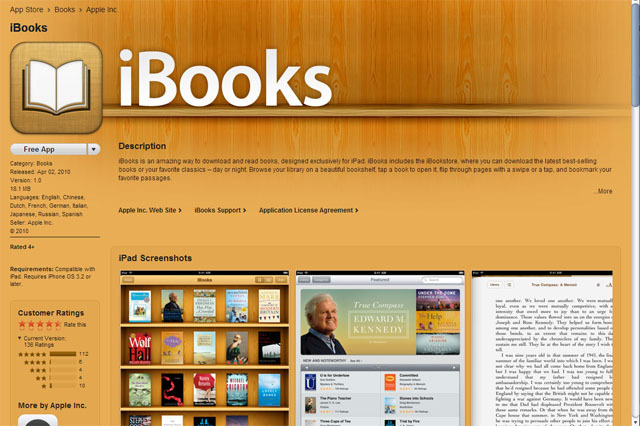 Apple by contrast have iBook stores in twenty or so countries and don’t surcharge. Kobo have even bigger global reach, and curiously they don’t surcharge either. The big appeal of Amazon and B&N for authors is of course the ability to self-publish relatively easily. Although for B&N that applies only to Americans. Everyone else has to go through an aggregator like Smashwords. Apple and Kobo both, in theory, accept indie authors, but the hoops to jump through are such that few try and even fewer succeed, so again aggregators like Smashwords come into play. 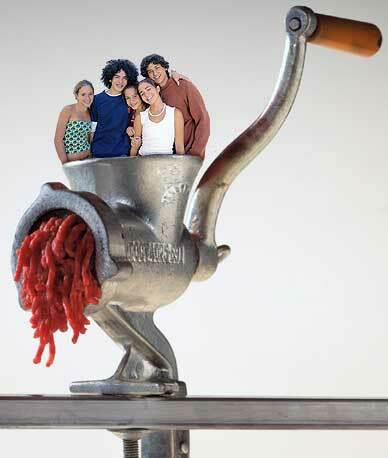 But in order to get into B&N, Apple and Kobo through Smashwords you have to subject yourself to the ignobility of the “meatgrinder” to get premium status, and as anyone who submits multiple titles will know, that can be an absolute nightmare. We can submit two identically formatted files one will be approved and the other come back time after time after time from the auto-vetter for some revision that actually doesn’t need revising. Typical is to get an email from Smashwords saying your ebook has passed all the tests and been approved, followed by an email literally five minutes later saying that exact same book has failed and must be re-submitted! For those who persevere Smashwords gets you, in addition to those mentioned already, into Sony and Diesel, and Aldiko and Stanza. Useful, true, but how well do Smashwords perform compared to direct uploads? For those of us outside the US, B&N’s long-standing policy of blanking anyone outside the US borders meant Smashwords were pretty much our only hope of getting listed there. And while the evidence is anecdotal, it does appear being in B&N via Smashwords does you few favours. We sold next to nothing in B&N via Smashwords, despite huge sales on Amazon. Almost all of the B&N success stories we are aware of are from direct-upload authors. The same goes for Kobo. 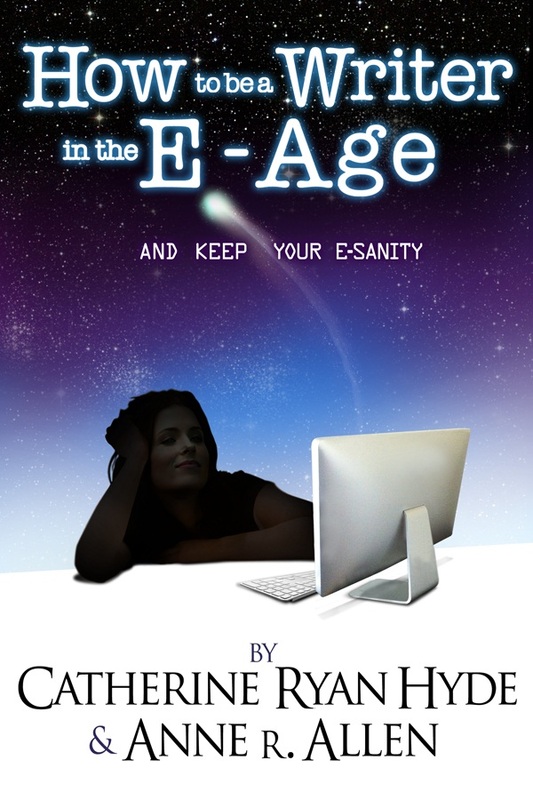 Again, anecdotal evidence suggests Kobo and Smashwords do not work well together. Our own experience is telling. Last year saw our e-titles in the e-stores of the two biggest bricks and mortar book-sellers in the UK – Waterstone’s and W.H.Smiths. We let Smashwords get us into W.H. Smiths as their e-store is operated by Kobo. We went via a more direct (and more expensive) route with Waterstone’s (Smashwords do not supply any UK stores except W.H.Smiths through Kobo). Last year we had two top ten hits in Waterstone’s, held number two spot in store for some while, and was the most searched for name in store. In W.H.Smiths? Nothing. You could count the sales on one hand. What little we did sell via Smashwords last year was through Apple, and the sums are just too embarrassing to mention. Yet somehow we sold well over 100,000 (of just one title) on non-Smashwords platforms last year. And not just on Amazon and Waterstone’s. As we demonstrated here, we have been getting ourselves out into ebook stores far and wide. No, these sales aren’t massive. Yes, Amazon will probably dominate the scene for a few years yet, and will maintain it’s position as the biggest ebook retailer in the US. But ebook sales worldwide can only get bigger. If you’re not out there you won’t share in it. Some people are dismissive of Kindle UK because sales there don’t match up with Kindle US. Well, no question the US is a bigger market. And Kindle UK is much newer than Kindle US. E-readers are still a novelty in Britain. But the UK’s time will come. Those who have a foot in the door now – not just on Kindle UK, but on all platforms – will be well placed to ride that swell when it does come. We know. We’ve got the t-shirt. Just think Waterstone’s. We’ve also got a direct route into the other major e-stores including B&N, Kobo and Apple, without playing games with Smashwords’ meatgrinder and their ludicrous auto-vetter. And more importantly we have a direct route into far more stores than Smashwords offers. As said here a week or so back, we can now get you into these stores too. On Thursday here on MWi we’ll be explaining just what that involves, and which ebook stores you could potentially be selling in. Unless you’re locked into KDP Select then this is a great opportunity to reach new markets at no upfront costs. If you are with Select then come and join us when your ninety day experiment is up. 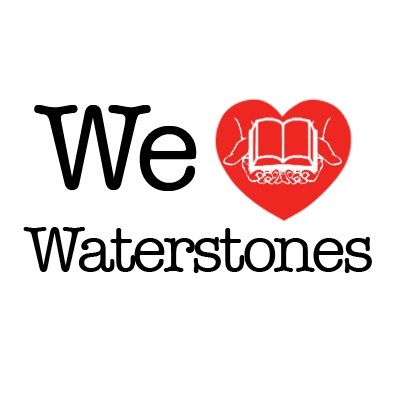 We’ll provide the ISBNs and quality-formatted ePub files where necessary, and any titles listed through us will be featured in the We Love Waterstone’s promotional campaign in the UK, and similar campaigns internationally. No, we can’t guarantee sales in these stores. But there are two things we can guarantee. One is that if you’re not in those stores you haven’t a hope in hell of ever selling there and establishing your brand there. Two is that ebooks are a world-wide phenomenon and growing fast. China already is the second biggest e-reader market in the world. It will probably eclipse the USA later this year. E-readers, tablets and smart-phones are everywhere, in every country. 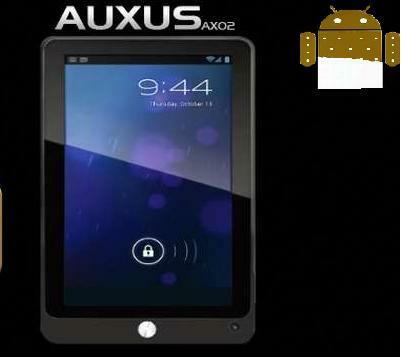 India is just about to launch its latest mega-cheap tablet, the iBerry Auxus. Don’t for one second think these “third world” countries don’t have e-readers and tablets. The average citizen might not be able to afford an iPad or a KindleFire (not that the Kindle devices are available internationally anyway) but there are plenty of cheap, locally produced tablets, e-readers and smartphones available. People are e-reading worldwide, not just in the USA and UK. Will they be reading your ebooks? If you’re wondering what that snazzy little Saffina Desforges Recommended logo is all about then I’m afriad you’ll have to be patient a little longer. All will be revealed shortly, but not today. Suffice to say that, despite the teething problems (as with any new start-up enterprise), and local conditions and ailments delaying progress, the MWiDP wagon is still rolling, and the YA / teen fiction imprint is gathering pace. Our very own St. Mallory’s Forever!, the first of a new YA boarding school series, is close to launch, and it will be joined by a very, very different YA book Anca’s Story. Both will be in an ebook store near you this spring, along with our top secret (so top secret we can’t even mention title or topic at this stage!) MG / 8-12 series which could be live as early as next month. For those who missed yesterday’s post, our own Sugar & Spice was officially declared the UK’s best selling indie ebook of 2011, and came in at number eleven out of ALL ebooks sold last year, despite being up against some of the biggest names in the industry. We made the top rankings not in some fly-by-night promo blitz, only to disappear a week later, but held poll position for months at a time and was the most searched for brand for several months. 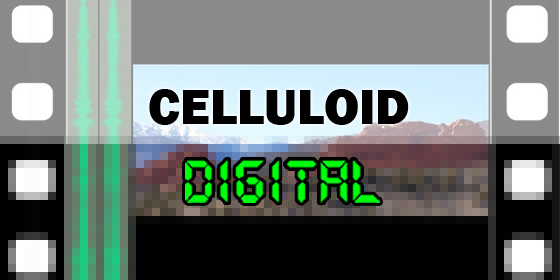 I mention this now because, wiith our new distribution outlets now live (see post here for background) we’ll be looking to emulate that success in 2012, not just for our own titles but for those who have joined with us under the MWiDP banner. The Saffina Desforges Recommended initative is just one part of that master-plan, using our brand recognition to help promote your books. More in coming weeks. Here just to remind regulars, and inform recent newcomers, that we last year lent our commendation to many promising YA authors who went on to great success (Michelle Brooks, Marion G. Harmon and Megg Jensen to name but a few) and plan to expand that support this year. And first in line for 2012 is Susan Kaye Quinn (that’s her on the right), whose book Open Minds was itelf a mind-opening experience. I absolutely loved it, and predict a huge success in the future for this title as word spreads. And Susan herself will be here after the weekend talking about YA in general. Before I begin, I have a confession to make. Despite the fact I am not yet old enough to drive, order a drink in a bar, or marry without my parents’ consent, Young Adult fiction usually isn’t my scene. Call me a literature snob, but most of the time I feel they just reiterate the same old story, with a few mythical creatures thrown in just to spice things up. So, for me, Open Minds was a lovely breath of fresh air. The premise of the story is very simple – it’s our world, in the future, and everyone can read minds. Well, almost everyone. Our heroine and first-person narrator Kira is a zero – she can’t read minds, or project her own thoughts, which makes life surrounded by constantly gabbling mentalists something of a daily trial for her. That is, until she accidentally clobbers her best friend’s brain and discovers she’s not a zero … though she might just wish she was. However, despite this, I think the story was pretty effective. It was quick, snappy and moved along at a good pace to keep the action coming and – praise be! – avoided any long stretches of angsting that seem so common to today’s teenage heroines. The characters were clear cut and sympathetic – well, except the baddies, but even they manage to look rather cool. Regrettably, due to an unfortunate combination of brisk pacing and a small cast of characters, every event did turn out to be rather Kira-centred, and I found the singling her out as an extra-special individual among an already gifted group was a little irksome at times. Thankfully, the author knows too well to let me get a solid point on that, because she then went and showed us a perfectly viable and believable conclusion for Kira’s individual prowess. Curse you, logic! In short, therefore, I’d say Open Minds is a pretty piece of YA indeed. True, it’s not flawless – Kira sometimes falls into the trap of out-of-character altruism, and I found the swiftness with which she attached herself to Laney (and, to a certain extent, Laney herself), a bit peculiar – but, I think the fact I’m now planning to pass it around my friends is testament to its charm. That, and I have to fight down an urge to describe everything as “mesh” now. 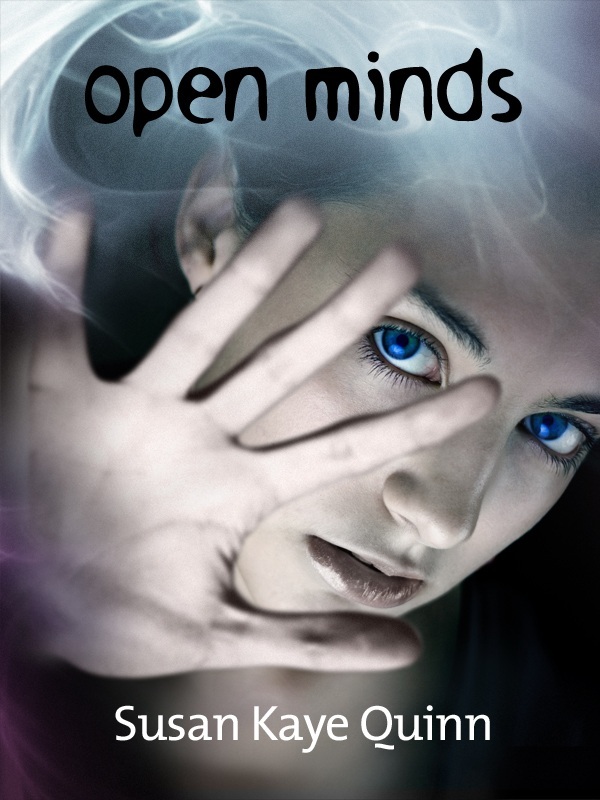 I just adore the future teen world Susan has created with Open Minds. And in particular I loved that it was almost at the very end of the book that the author finally gave us a date for when this is set, and throughout the book the new world was spoonfed to us without ever info-dumping or contriving dialogue to explain why things are like they are. One of the true joys of indie-reading is coming across new writers who have all the skills and flair of an accomplished long-published author. It doesn’t happen often, but when it does you know pretty much from the first page that you have stumbled across something special. That you are reading the work of a future superstar. 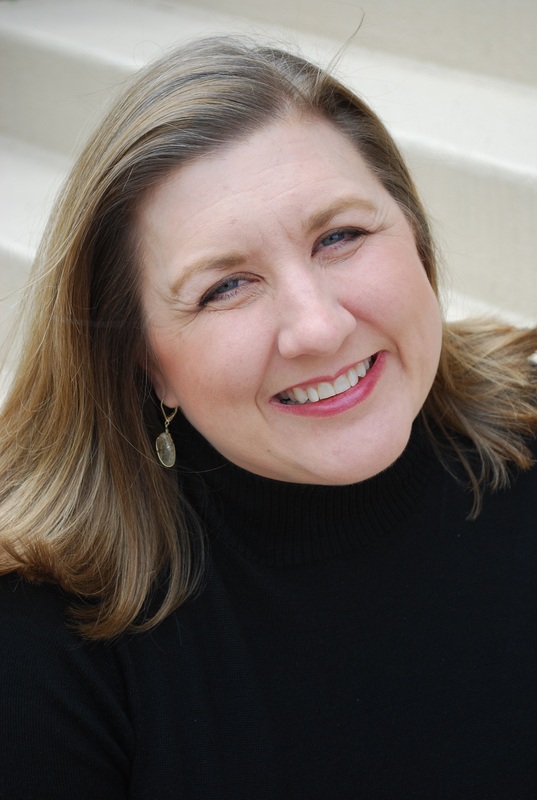 Susan Kaye Quinn is one such, and I have no hesitation in introducing her as the first Saffina Desforges Recommended author of 2012. B&N: Smashwords: iTunes: Diesel: and Kobo. 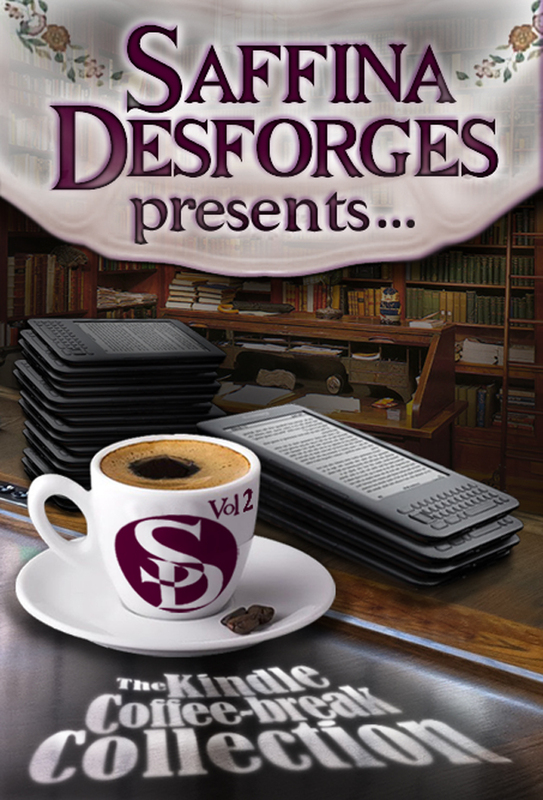 Finally, just to say Charley R., our intrepid reviewer, is herself in the spotlight in the newly released short-story anthology Saffina Desforges Presents… Volume 2 of the Kindle Coffee-Break Collection. I’ll be covering that here in detail on MWi after the weekend (yeah, a busy week ahead on MWi – you have been warned! ).